Just now getting this up. I spent all day working on my computer as it decided to not work this morning. Which now puts me about 7 hours behind schedule on Easter week. Got to spend some extra time praying today and being reminded that God is in control of all this. I continue to be overwhelmed by God’s grace to Revolution Church. We continue to grow every week. This week, we are going to put out every chair we have available. Wrapped up our All In series yesterday and taught on the great commission and how Revolution does church. I think most people want to know that their church has thought through why they do things. I love talking about the vision of Revolution. If you missed it, you can listen to it here. Blown away by all the people praying for Revolution Church this week and for other churches in our city. Praying that it causes people to see their prayer lives go to new levels. After so many weeks doing topical sermons, I’m so excited to kick off our series on Galatians on Sunday. Expository preaching definitely is our bread and butter. We’re also celebrating baptisms on Sunday. Not to late to sign up if you want to take that step (you can do so here). Spent the weekend reading the new book Mission Drift: The Unspoken Crisis Facing Leaders, Charities, and Churches. So many great things for pastors to think through and how to protect their church from drifting. Hard to believe we only celebrated his first birthday with us. It was super fun and he was totally overwhelmed. Hope he felt our love in it. I’m also going to write his birthday letter this week. Lots of emotions in that. If you haven’t made plans yet, make plans to join us at Revolution on Good Friday for The Stations of the Cross. We’re doing a Seder this Thursday with our MC. Expecting to be stretched as an MC. I haven’t done one since I was in Jerusalem 14 years ago. Also excited to go see Captain America this week with the guys from my MC. As the holidays get closer, schedules get busier. There are parties to attend, pageants to go to, rehearsals for Christmas shows, tree lightings, decorations to buy and hang, presents to buy and wrap, food to prepare and all the while, still keeping up with everything else you do. December 26th will roll around and most people will want to fall over in a heap of exhaustion, but there’s no time. We have to return clothes that don’t fit, clothes that are ugly, buy things that are on sale and get Christmas cards and decorations for next year because they are on sale for 80% off. Over the next several weeks, people will quietly vent about all that they are doing and will do to friends and family, they will make resolutions in January about slowing down, eating better, working less, checking Facebook and email less, and signing their kids up for less activities. Only to find in February that they can’t wait for summer to hit so they can take a week off and sit around. But we all know how summer goes. In these conversations about pace, tiredness, doing too much, working too much, sleeping too little, an interesting work and concept comes up. Whenever someone says they are tired or doing too much, a friend with good intentions will respond, “You need to get balance in your life.” We talk about work life balance. Balancing schedules, checkbooks, planners, and activities. If you haven’t figured it out yet, balance is a pipedream. 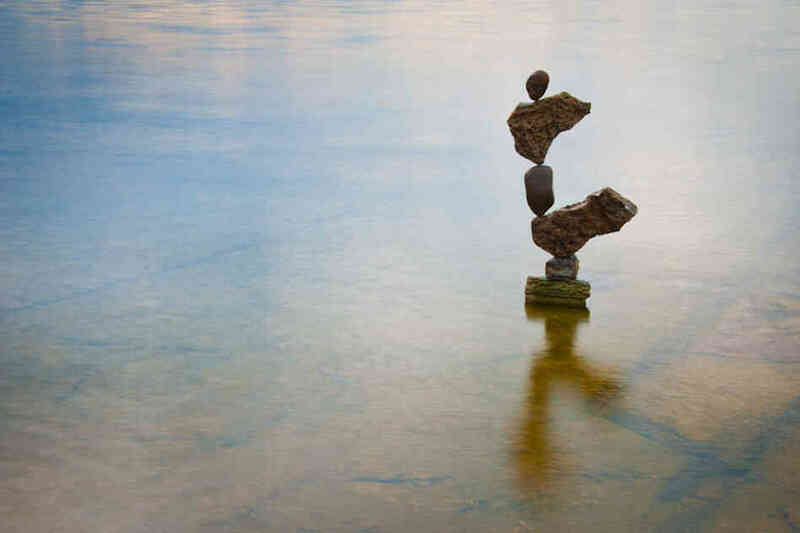 The next time someone tells you that you need to have more balance in your life, ask him or her what that means or looks like. You’ll get blank stares. Yet, everyone is going for it. Here’s a better way to think about life, work, kids, money, sleep, food and anything else you try to get balance in. Every time you say yes to something you say no to something else. Think about it like this. Whenever you say yes to staying up too late watching TV and eating ice cream you say no to a good night sleep, more sleep and a trimmer waist line. Whenever you say yes to sign your child up for everyone team and activity you can throw at them, you say no to a sustainable pace, family dinners and overall health. Whenever you say yes to work late you may say yes to a promotion and more money, but you also say no to family time, relaxing, time with friends and unwinding with a good book. When you say yes to going into debt, you say no to peace in your life and bank account. When you say yes to that extra piece of pie over the holidays, you say no to health. Remember, balance is a pipe dream. Are all these examples wrong? Not at all. You should eat some good dessert over the holidays. You should sign your kids up for fun things. You should buy nice things you can afford and bless others with nice presents. All of those are great things. Take a minute though and remember last December, last January and February. What did you feel? Exhaustion, a longing for a break and rest that never came. Now, the question isn’t should I do these things, it is more about, and what do you want to say yes to and say no to. Because, every time you say yes to something, you say no to something else. Every time.